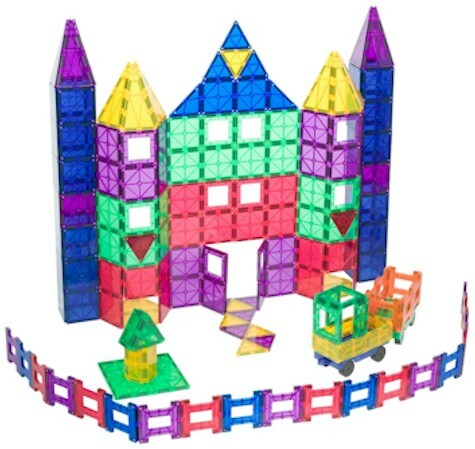 Amazon has got the highly-rated 150-piece Playmags Clear Colors Magnetic Tiles Deluxe Building Set for $89.99 with free shipping, which comes to 60 cents per tile. 60 cents per tile is an excellent price for a set like this; it's the equivalent of getting a 100-piece set for $60.00. This set has been priced as high as $149.99 in the past. It got 4.6 out of 5 stars over 105 customer reviews. If you already own a magnetic tile building set, the Playmags set is compatible with Magna Tiles and Picasso Tiles, so this set will integrate into your old sets very nicely. 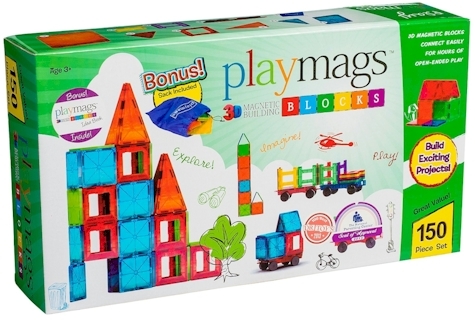 Playmags Magnetic Building Blocks attract on all sides and the combinations form many different shapes and structures. From flat designs to squares, pyramids, plus many more unlimited geometric shapes. Tiles easily connect, which prompts kids to move from constructing two-dimensional to three-dimensional creations. Magnificent high rise 3D towers are designed by kids who have developed into critical thinkers through creative play. As they build, kids develop tools for spatial problem-solving tasks, logical thinking, and math reasoning. 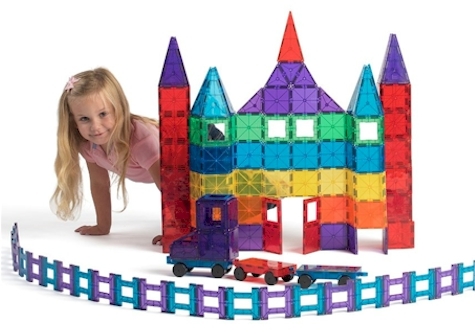 Blocks easily connect and inspire creativity, brain development patterning, shape recognition, building, and motor skills.